How important is it for each of us to repent of the sin and evil in our lives? For-Without repentance, there can be NO SALVATION? This is a very important lesson for each of us. I am referring to true repentance, not just the mouthing of the words in a prayer or a corporate pronouncement about repentance and the remission of sin. Let’s do some discovery and find out what the Word of God says about our need to repent. The Word of God seems to say it is crucial. The New Testament contains many verses that deal with repentance. Many more on sin. Taken together they clearly state that without repentance there is no forgiveness and without repentance, one cannot receive eternal salvation. I believe that most regulars on The Joseph Plan understand that we entering the final age. These times are going to require of us to be even more vigilant about our walk with the Lord. This doesn’t suggest that we need to commit our self to a doctrine of works. But instead, concentrate on deepening our belief in HIM! Sin stands between us a full relationship with the Lord. It also is an open door for the demonic. Unforgiven sin gives the demonic a place of permission from which to oppress us. Here is the New Testament verses. Next, we are featuring three biblical teachers to help us all understand the importance and absolute need for true repentance. Mat 3:2 And saying repent ye: for the kingdom of heaven is at hand. Luke 17:3 Take heed to yourselves: If thy brother trespass against thee, rebuke him; and if he repents, forgive him. 2Cor 7:8 For though I made you sorry with a letter, I do not repent, though I did repent: for I perceive that the same epistle hath made you sorry, though [it were] but for a season. Romans 11:27 – For this [is] my covenant unto them, when I shall take away their sins. The Word is perfectly clear. Without repentance there can be NO forgiveness of sins and without repentance, there can be no guarantee of eternal salvation. How can we know what we should repent of, in addition to the nine commandments of the New Testament? The Word of God tells us to EXAMINE our self. Examine our self and identify our sins. Examine ourselves and discover our faults. Examine ourselves and find out where we fall short of God’s perfect will for us. When we ask the Lord in prayer, He will reveal to us the truth. The Holy Spirit is the spirit of truth. He’ll always be honest with us. We need to be honest with Him also. The CEV states it this way. Yes, Examine or test one’s self. Test your self in a very deep and prayerful examination. Now is the time to take an honest inventory. Compare your thoughts and actions to the will and commandments of God. Recognize your sins. Give them to the Lord and change your ways. Only because of the power and help of God. Here is John MacArthur on all of our need to repent. What is repentance and why is it so very important? Jesus calls many of the 7 Churches in Revelation 2 and 3 to repent. So I think its safe to say that Repentance is important, but what is Repentance? Is it saying, “I’m sorry,” is it admitting that you’ve done wrong, or is it doing something really nice after doing something bad in order to make people like you again? Culture today really hates responsibility and therefore hates the idea of repentance, but society still understands that when something bad is done there should be some kind of apology or recompense for the wrong doing. So in trying to define True Repentance, lets first define what True Repentance is not. True repentance is not Religious Repentance, where I confess your sin but not my own. The Pharisee does this in Luke 18:10-14 where the he prays arrogantly, and Jesus says that the humble sinner that prayed quietly went home justified not the Pharisee. True Repentance is not Pagan Repentance; this can manifest itself in many ways but at the core pagan repentance is trying to appease God through some sort of sacrifice to make God good to you to make God love you, this is incorrect because it assumes we need to do something in order to make God good, when God is good all the time. True Repentance is not Worldly Sorrow; feelings guilt and sorrow when you are caught. It is also not Mere Confession; simply confessing your sin is not True Repentance. True Repentance also does not include Blame Shifting, Excuse Making or Minimizing Sin. Now that I have gone on and on about Repentance, you may be saying; but I am a Christian, I have already repented and God forgave me so why must I repent now if He already forgave all my past, present and future sins? We as Christians repent not to make God love us again, nor to make God good to us, as Christians we repent to keep the list short between us and God that we may gain His power to overcome the sin in our life and turn from it as an act of worship. Tim Keller said it like this; “But in the Gospel the purpose of repentance is to repeatedly tap into the Joy of our union with Christ in order to weaken our need to do anything contrary to God’s heart.” So next time you are in need of repenting, instead of treating God like He needs to be appeased remember that He wants to help you overcome sin and run to God not from Him. Repentance! It is at the heart of the Gospel of Jesus Christ. We all need to have it become part of our daily life. I invite you to listen to Pastor John MacArthur explain Repentance. Here is a study that was written by my mentor and good friend, Jim Searcy of MoreSureWord.com. This is a very good teaching on the need for repentance. Jim is a Messianic Christian. This is for those that want an even deeper understanding of what repentance entails. In the simplest terms, “Jesus Christ and what He accomplished on the cross…..DID IT ALL”! Be WARNED. There are wolves who are trying to remove it from the Gospel message of our Lord. The biggest offender is the Purpose-ly Driven away from Christ program. What happens if it is not part of the Gospel. Why it is so dangerous to ever think repentance is for the other guy. If we know anything about God we should know how important that REPENTANCE is. The Gospel cannot be preached without preaching Repentance. Luke 24:46-48 And said unto them, Thus it is written, and thus it behoved Christ to suffer, and to rise from the dead the third day: And that repentance and remission of sins should be preached in his name among all nations, beginning at Jerusalem. And ye are witnesses of these things. The central command of Acts 2:38 is REPENT. Yet today this precious gift of Repentance which is ONLY available by the grace of God seems misunderstood, forgotten, or misapplied. Many seem to somehow think that REPENT is something you tell someone that you do not like. Many seem to think it is a word of insult when someone says it to you. Many seem to think that repentance is something everyone else should do. Why? It is a sign of the times. Everyone does what is right in their OWN eyes because iniquity abounds, the love of many has waxed cold. What is REPENTANCE? Repentance is a changing of the mind, or a turning from self and sin to God. Is anyone perfect? Can anyone walk through walls? Do we have a glorified resurrection body? Then there should be a way this word repentance still applies to ME and You. REDEEMED SINNERS is what we ARE and hope to be at the end. If, and when, we develop the mindset that repentance is for the other guy, we may have fallen from grace, and not have a clue about. May all brethren understand that the grace of God is found in repentance. May we never think that repentance is for the other guy. If we know God at all, we must have some BIBLICAL understanding or REPENTANCE, and what the word Repent means. Repentance would never be thought of in such a way as to make it a ground for thinking that we are somehow GOOD, and God accepts us because of how we have made ourselves good. The real problem is that people have little or no understanding of the FEAR of God. People do not fear God. That is the real base problem. The Fear of God is LEARNED. The fear of God is His TREASURE. People today have not been taught, they have not learned, or they have forgotten, and do not walk in the Fear of God. All of us today have the Elijah call and anointing upon us to do as John the Baptist did. We all have this call to our terminal generation for this radical kind of turning to God. Yet unless I FIRST do make the turn, unless I do FIRST respond to the message, when I proclaim it to others it is HYPOCRISY. REDEEMED SINNERS is what we ARE and hope to be at the end. If, and when, we develop the mindset that repentance is for the other guy, we may have fallen from grace, and our preaching of repentance becomes hypocrisy and a work of iniquity. We demonstrate by our actions the change which we FIRST have made in our OWN minds and hearts. Such a change will be openly shown in justice, kindness, and humility. Y’all pray for me. I understand the fear that Paul had – lest that by any means, when I have preached to others, I myself should be a castaway. There are those who do feel like serving God by proclaiming me to be a castaway. Alleluia Yeshua. That make Luke 6:26 one woe of no concern. Alleluia Yet, that is God’s call, and at least I do know that repentance is for me FIRST, and not just for the other guy. I preach the gospel of Yeshua. Repentance is CENTRAL to the Gospel, and therefore I MUST preach repentance. 1 Cor 9:16 For though I preach the gospel, I have nothing to glory of: for necessity is laid upon me; yea, woe is unto me, if I preach not the gospel! 2 Cor 4:5 For we preach not ourselves, but Christ Jesus the Lord; and ourselves your servants for Jesus’ sake. We are REDEEMED SINNERS. Let the Redeemed of the Lord say so. Alleluia. We are redeemed sinners, who are being sanctified, being changed, into His likeness. We are being changed by His GRACE, through repentance, in a process called sanctification. We are not GOOD because we have made ourselves to be good. We are not saints because of how well we keep torah. WHAT AN ABOMINABLE LIE and self delusion that is. We are Redeemed Sinners, BEING sanctified, or else we are on one of the many broadways to HELL. All of our self righteousness STINKS. We do not do anything good to be saved, we do right because we are BEING SAVED, PRESENT TENSE. If Paul did not consider himself to have attained, to have gained some state of sanctification where he was perfect, if Paul said he had not yet attained or apprehended by the END of his ministry, then who do we think we are to think repentance is for the other guy? 1 John 3:20-21 For if our heart condemn us, God is greater than our heart, and knoweth all things. Beloved, if our heart condemn us not, then have we confidence toward God. The big problem we have, in this crooked and perverse generation, is that people somehow think we can know other people’s hearts, when we do not even look at our own heart, to see it as God sees it. They that compare themselves among themselves are not wise. Yet God is greater than our heart. If our heart is not condemning us – it better not be because we are spending time looking at other people’s hearts. Our heart better not be condemning us because we have found God’s grace to REPENT. When there is no change of orientation toward God and away from sin and self, where there is no change of our ways, then repentance is of necessity, vain. Such a form of repentance lacks the fruit for which God gave grace to find repentance, and that purpose for which God gives grace to find repentance, is for our salvation. God is still gathering a people together for Himself. God gives GRACE to these people who are the objects of His love. After so often finding them most ungrateful, He still continues to urge them to repentance by the foolishness of preaching. True preaching of the true gospel today is considered foolish by 90% of those who would call themselves Christians. For the gospel must have repentance as part of the gospel or it is not the gospel Jesus said to preach. Luke 24:47 And that repentance and remission of sins should be preached in his name among all nations, beginning at Jerusalem. God has promised freely the grace which in the last times He was intending to pour as a flood of light on the world by His Spirit. There is still a place for the baptism of repentance to begin this process of sanctification in the way of repentance. The sign and mark of recognition of the true believer, as the true gospel is this sign and seal of GRACE seen in repentance. We enter this grace of God and this walk of Forgiveness and process of sanctification by repentance. The true gospel calls for repentance as a way of life and the way the Lord, brings salvation according to God’s promise. Repentance which was preached by the apostles would not be popular today. Repentance purifies the mind, and allows us to see the contamination in the heart, and making it clean as the dwelling place of the Holy Spirit should be clean. Repentance works salvation, and is central to the on going sanctification. All of repentance is about God’s mercy and His grace. For without the grace of God no one will KNOW THEIR NEED of repentance, they will think it is something for the other guy. Can we see through our ingratitude. Godly sorrow works repentance unto salvation. There is not much gain to do good even to a grateful man, and even less to one who is ungrateful. If we do something that is truly a good deed and if it will have eternal value it will be because God by His Spirit empowered us to do it for the Glory of God. A good deed is something is done to please God, and ONLY for the glory of God. Justice and Judgment is very important to God. Ultimately God will work perfect justice and hell is being enlarged for that reason. God, as Judge, presides over the exacting and maintaining of justice. God is a God of perfect justice. It is with an eye to justice that He does discipline. There is no doubt that in the case of repentance, God will have justice. Only as repentance is brought to bear on sins, is God’s infinite great mercy and GRACE, seen in IN the Lord Jesus Christ, His perfect judgment and justice, Jesus Christ showed the perfections of God’s Justice, Mercy, and Grace. Evil deeds, transgressions of God’s Royal Law of Love, Life, and Liberty are called sin. We do not sin when we do that which is right and just and in accord with God’s royal law. If we do not sin why would repentance still be important to us? Isn’t repentance just for those who are still blatantly sinning and do not know Jesus? Why does God impose on His goodness a duty for proper punishment to wickedness, hell seems a bit harsh to many, so harsh some refuse to believe in the reality of hell? What things, then is it for which repentance seems just and right? What do we call sin for which repentance is a MUST, or else damnation will be sure? Many today do not seem to realize that there are sins of the flesh and there also sins of the spirit. For since man is composed of both flesh and spirit, the sources of his sins, may be of the flesh and also of the spirit. Jesus made this point many times. (Mat 15:19 and Mark 7:21 In fact, if we can get the sins of the heart fixed, the flesh sins will also be brought under control. Again do NOT lose sight of the FACT of sin being our problem and not the degree. If we do not understand this then we simply have insufficient understanding of God’s Holiness. There is no less necessity for repentance if the sin be of the flesh or of the heart. The guilt of either the flesh or heart is the same. God will Judge either. The only healing medicine for either is repentance and that healing power of God is only by grace that works repentance unto salvation. Sins of the body, mind, or spirit or will are all still sin and the only cure is repentance and repentance is only found in the grace of God. The only way sin is purged is by repentance. Agreeing with God that we were wrong and He is right, and by His grace receiving pardon and that turning from sin and self-will unto to God and His perfect will, only comes by what is called REPENTANCE. Some people will go to great extremes to make outward shows of holiness. Yet the heart is just as big of a problem and perhaps even more of a problem than the body. Sometimes there is a tendency for those who meet the standards of expected performance of outward shows of holiness in some group to think we are pretty good. That is a LIE. Jesus gives us the truth. Matt 9:17 There is none good but one, that is, God: but if thou wilt enter into life, keep the commandments. Jeremiah gives us the truth in Jer 17:9 – The heart is deceitful above all things, and desperately wicked: who can know it? THAT IS THE PROBLEM AND WHY WE NEED TO ALWAYS THINK REPENTANCE IS FOR OURSELVES FIRST. God knows our heart and we do not unless we go to His Word, which ONLY can, separate the soul and spirit so that we may have a look at what God sees regarding our heart. Brethren, we should not make light of crimes of the will in God’s sight. God is all-sufficient. Nothing is hidden from God’s sight. God knows our every move, word, thought and even the INTENTS of our heart, which we cannot and will not know apart from His grace and the gift of repentance. Mat 5:6 Blessed are they which do hunger and thirst after righteousness: for they shall be filled. That hunger and thirst for righteousness may be said to be an attitude of repentance. We can hide NOTHING from God. Everything deed, word, thought, and intent of our heart is clearly seen in His sight; because He is neither ignorant, nor will He omit to decree it to judgment. The truth is that most sin proceeds from the heart. It is our will that is the origin of our deeds. Mat 5:28 But I say unto you, That whosoever looketh on a woman to lust after her hath committed adultery with her already in his heart. It is dangerous for us to allow our mind to entertain that which is forbidden. The power of this will is such that, even without fully satisfying its self-gratification, it stands for a deed, and as a deed, it shall become subject to judgment. It is vain to say, that it is OK because no one saw you do it. WRONG. God saw it. Now the good news for us sinners. God is a merciful God. He delights in mercy. However there is a requirement, we must agree that we need His forgiveness and grace. That is why we need this right understanding toward Repentance. Keep it personal. We need to know that repentance is not just FIRST but ALWAYS for me. The other guy has his own problem. If we get into that mindset where we think repentance is for the other guy more than ourselves, we are in great danger. We may very well have fallen from grace and not even know it. Yeshua The Messiah came preaching a message of repentance saying – The time is fulfilled, and the kingdom of God is at hand: repent ye, and believe the gospel. (Mark 1:15). Jesus made it clear and emphatic that ALL men needed to repent. Repentance is central to the teaching and preaching of the Lord Jesus Christ. Many times He would say things like – Suppose ye that these Galilaeans were sinners above all the Galilaeans, because they suffered such things? I tell you, Nay: but, except ye repent, ye shall all likewise perish. Or those eighteen, upon whom the tower in Siloam fell, and slew them, think ye that they were sinners above all men that dwelt in Jerusalem? I tell you, Nay: but, except ye repent, ye shall all likewise perish. (Luke 13:2-5) Jesus very clearly taught that REPENTANCE is a central part of the Gospel and that we need to keep it in the right focus of PERSONAL Repentance, every day, this side of glory. The ministry of Yeshua IS that of calling SINNERS to repentance. The whole bible should convince us of two things: 1) ALL humans except Jesus are born SINNERS. 2) The True God forgives Sin. Jesus said – I came not to call the righteous, but SINNERS to repentance. (Luke 5:32). One of the best illustrations and understandings of repentance that Yeshua gave us is in the parable of the prodigal who returned to the father. (Luke 15:11-32). Jesus said, A certain man had two sons: And the younger of them said to his father, Father, give me the portion of goods that falleth to me. And he divided unto them his living. And not many days after the younger son gathered all together, and took his journey into a far country, and there wasted his substance with riotous living. And when he had spent all, there arose a mighty famine in that land; and he began to be in want. And he went and joined himself to a citizen of that country; and he sent him into his fields to feed swine. And he would fain have filled his belly with the husks that the swine did eat: and no man gave unto him. And when he came to himself, he said, How many hired servants of my father’s have bread enough and to spare, and I perish with hunger! I will arise and go to my father, and will say unto him, Father, I have sinned against heaven, and before thee, And am no more worthy to be called thy son: make me as one of thy hired servants. And he arose, and came to his father. But when he was yet a great way off, his father saw him, and had compassion, and ran, and fell on his neck, and kissed him. And the son said unto him, Father, I have sinned against heaven, and in thy sight, and am no more worthy to be called thy son. But the father said to his servants, Bring forth the best robe, and put it on him; and put a ring on his hand, and shoes on his feet: And bring hither the fatted calf, and kill it; and let us eat, and be merry: For this my son was dead, and is alive again; he was lost, and is found. And they began to be merry. It is very important for us to notice that while no one could take that prodigal son out of the Fathers hand, the Father allowed that prodigal son to leave the Father. The son was FREE to LEAVE. We do not become robots who lose our freedom of will and choice when we come to the Lord Jesus Christ. The testimony of the Father was that His son was DEAD and LOST. What does this teach us regarding the number one doctrine of devils that destroys the foundation of the fear of God? What does this teach us about the “once saved always saved” preachers and teachers? Now his elder son was in the field: and as he came and drew nigh to the house, he heard music and dancing. And he called one of the servants, and asked what these things meant. And he said unto him, Thy brother is come; and thy father hath killed the fatted calf, because he hath received him safe and sound. And he was angry, and would not go in: therefore came his father out, and entreated him. And he answering said to his father, Lo, these many years do I serve thee, neither transgressed I at any time thy commandment: and yet thou never gavest me a kid, that I might make merry with my friends: But as soon as this thy son was come, which hath devoured thy living with harlots, thou hast killed for him the fatted calf. And he said unto him, Son, thou art ever with me, and all that I have is thine. It was meet that we should make merry, and be glad: for this thy brother was dead, and is alive again; and was lost, and is found. Brethren, notice that Yeshua makes the point and says it AGAIN so that we are sure NOT TO MISS THE POINT. The prodigal son was FREE to leave the Father. The Father AGAIN testifies that His son was DEAD and LOST. More used to be Christians will probably end up in hell over this “once saved always saved” doctrine of devils than any other false doctrine. No other false doctrine so effectively destroys the foundation of the Fear of God, or generates the mindset that we no longer have a need of PERSONAL Repentance. When Jesus tells us something like this TWICE, we better not miss it. Could we possibly be like the elder brother who TOOK OFFENSE? One thing we do know about bondservants is that they NEVER TAKE OFFENSE. Is it possible that our attitude could be like the elder brother? Could we be envious of the blessing of the Father on some younger or unfaithful brother? Brethren, do we understand how that there are only three sins which are UNFORGIVABLE? One unforgivable sin is to RECEIVE the 666 mark of the beast in our right hand or forehead. Suicide is another. The ONLY other UNFORGIVABLE sin is unforgiveness. The EVIDENCE that we really KNOW the Lord Jesus Christ is the changed life, with the obvious “fruit” that is evident in the life IN Messiah. In Luke chapter 6 Jesus said – Blessed be ye poor: for yours is the kingdom of God. Blessed are ye that hunger now: for ye shall be filled. Blessed are ye that weep now: for ye shall laugh. Blessed are ye, when men shall hate you, and when they shall separate you from their company, and shall reproach you, and cast out your name as evil, for the Son of man’s sake. Rejoice ye in that day, and leap for joy: for, behold, your reward is great in heaven: for in the like manner did their fathers unto the prophets. But woe unto you that are rich! for ye have received your consolation. Woe unto you that are full! for ye shall hunger. Woe unto you that laugh now! for ye shall mourn and weep. Woe unto you, when all men shall speak well of you! for so did their fathers to the false prophets. 2) Bless them that curse you, and pray for them which despitefully use you. 4) Him that taketh away thy cloak forbid not to take thy coat also. 6) Him that taketh away thy goods ask them not again. 7) And as ye would that men should do to you, do ye also to them likewise. Sadly, today, the world seems to love its own, more than many so called Christians love one another. Very few today seem to have a clue regarding the kind of LOVE that the Lord Jesus Christ taught and lived. Yeshua taught us that we are to love our enemies and do good, and lend, hoping for nothing again; and your reward shall be great, and ye shall be the children of the Highest: for he is kind unto the unthankful and to the evil. Hanging on the Cross of Calvary, Jesus said, Father, forgive them; for they know not what they do. Yes, they were dividing up his raiment, and cast lots for his cloak as He prayed to the Father to forgive them who were crucifying Him. And saying, The time is fulfilled, and the kingdom of God is at hand: repent ye, and believe the gospel. (Mark 1:14-15) Access to The Kingdom of God is very specifically joined with one’s acceptance of Yeshua THE Messiah. REPENTANCE IS ALWAYS CENTRAL TO THE TRUE GOSPEL. Those who were unrepentant, or always thought repentance was for the other guy, and could not walk in PERSONAL repentance were those who rejected Him. Those who received Him were truly repentant and PERSONAL repentance was a way of life to them. His disciples were to manifest the Kingdom of God by casting out devils, and healing the sick. Their mission was to preach Repentance and remission of sins in the Name of Yeshua. Those who received Yeshua were the truly repentant, and personal repentance became their lifestyle. It was not possible to get them to TAKE offense or withhold Forgiveness from anyone coming in repentance. Yet they were quick to rebuke the proud and the hypocrites and the unrepentant. Yeshua told them that wherever they were NOT received with the message of repentance and remission of sins in the Name of Yeshua, that were to say, Even the very dust of your city, which cleaveth on us, we do wipe off against you: notwithstanding be ye sure of this, that the kingdom of God is come nigh unto you. (Luke 24:47, 10:8-15;). Brethren, let us make our calling and election sure. Let us be careful that our names are not blotted out of the Lambs book of Life. The Central Command of Acts 2:38 is REPENT. Do you know an Acts 2:38 professor that thinks repent is for the other guy? Sad. Sad. If we know of a specific sin or error of our brother we have a duty of love to call our brother to repent. We do not just say repent. We must give the specific call to repent of the particular sin or error. Yes we are our brother’s keeper. The brother overtaken does NOT KNOW he is overtaken and will normally attack you. Therefore we need meekness, the ability to endure insult without retaliation. Yet, even if it puts the whole relationship on the line, and usually it does result in a Jude 19 in this crooked and perverse generation, the duty of Love will take that risk to give our brother the truth. Unless one can receive and acknowledge the truth, the grace of God to be found in repentance is not available. Acts 2:38 Then Peter said unto them, Repent, and be baptized every one of you in the name of Jesus Christ for the remission of sins, and ye shall receive the gift of the Holy Ghost. When we get the Holy Ghost we do not forget the central command of Acts 2:38 we get the power to live a personal repentance lifestyle. Acts 3:19 Repent ye therefore, and be converted, that your sins may be blotted out, when the times of refreshing shall come from the presence of the Lord; Acts 5:31 Him hath God exalted with his right hand to be a Prince and a Saviour, for to give repentance to Israel, and forgiveness of sins. Acts 17:30 And the times of this ignorance God winked at; but now commandeth all men every where to repent: Acts 20:21 Testifying both to the Jews, and also to the Greeks, repentance toward God, and faith toward our Lord Jesus Christ. Acts 26:20 But showed first unto them of Damascus, and at Jerusalem, and throughout all the coasts of Judaea, and then to the Gentiles, that they should repent and turn to God, and do works meet for repentance. There will soon be a topic on the GJiGT by the title of REPENTANCE. That article on Repentance will include these 4 parts and a few other important things about repentance. Know this – the grace of God is found through PERSONAL repentance. Recognize that we are in trouble if we think repentance is for the other guy and not for us. When we have a mindset that repentance is for the other guy and not for us we may have cut ourselves off, and fallen from the GRACE of God and NOT KNOW IT. The preaching of the Apostles kept personal repentance inseparably linked to belief in Messiah. Repentance and remission of Sins is what the Apostles preached and lived. When you read the book of Revelation in those first 3 chapters it is clear that it is a call to renew our commitment. The way is through PERSONAL repentance. Whenever we see that word return it means repent. The call is clear there for the BELIEVERS to repent. Brethren, the greatest example that any man of God can ever give to the people of God is the EXAMPLE OF PERSONAL REPENTANCE. Rev 2:5 Remember therefore from whence thou art fallen, and repent, and do the first works; or else I will come unto thee quickly, and will remove thy candlestick out of his place, except thou repent. 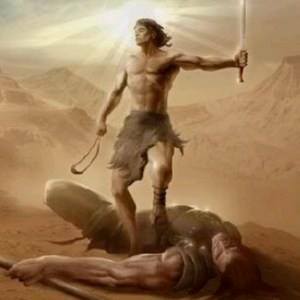 Rev 2:16 Repent; or else I will come unto thee quickly, and will fight against them with the sword of my mouth. Rev 2:21 And I gave her space to repent of her fornication; and she repented not. Rev 3:3 Remember therefore how thou hast received and heard, and hold fast, and repent. If therefore thou shalt not watch, I will come on thee as a thief, and thou shalt not know what hour I will come upon thee. Rev 3:19 As many as I love, I rebuke and chasten: be zealous therefore, and repent. Regarding ALL sins, committed whether by flesh or spirit, whether by deed or will, God has destined the penalty by means of judgment. There is only one way around it. By His grace and mercy through the sacrifice of the Lord Jesus Christ. Guess how we find this grace so that the Just, Holy God will grant the pardon? According to the Word of God it is by means of repentance. Repentance, then, is “life,” since it is preferred to “death.” By repentance, even a big sinner like me can hold on to the cross of the Lord Jesus Christ, and believe that there is a blessed hope, like one who grabs hold of a floating timber from a shipwreck. Cleaving to the perfect sacrifice of the Lord Jesus Christ, by repentance, is the way. IT IS NOT THE WAY TO THINK THAT THE CROSS OF THE LORD JESUS CHRIST GIVES ME A LICENSE TO SIN OR REMOVES MY NEED OF CONTINUAL SEEKING THE GRACE OF GOD TO CONTINUE TO HOLD IN THE FAITH OF JESUS CHRIST BY REPENTANCE. Repentance is an attitude that it is ME, not the other guy, who is in need of the grace of God, available only through repentance. This is how we survive when we are sunk in sin. It is cleaving to the Cross by Repentance that brings us through and keeps up pressing on to perfection, in this process of sanctification. By the continual attitude of repentance, we will find and stay on the way of Forgiveness, and the Kingdom of Heaven. It is by repentance that we hold on to the opportunity of God’s grace and find the power to say no to sin and maintain fellowship with God. Before we came to know the Lord Jesus Christ, we were enemies of God. Before finding the grace of God to come to Him by repentance, and faith in the sacrifice of Messiah Yeshua, there really was not much hope for us. Then as enemies of God, we did not have much concern about sin and holiness. Now it is different. Now we hunger and thirst for righteousness. We do now delight in the Law of the Lord and by repentance, cleaving tightly to Yeshua, Jesus the vine, we grow and will bring forth fruit in time. Without this cleaving to the vine by this attitude of PERSONAL REPENTANCE, we will not remain fastened to the Vine. Having found “the truth,” we repent of errors; repent of having loved what God hates. We now want to serve Him and obey Him who has shown us such great love and mercy. Brethren, Jesus preached repentance. Mat 4:17 From that time Jesus began to preach, and to say, Repent: for the kingdom of heaven is at hand. AND I came not to call the righteous, but sinners to repentance. Today a big part of the great falling away from THE FAITH is that somehow people begin to think that repentance is for the other guy, and fail to keep personal repentance as the way that we are instructed by the Lord Jesus Christ to cleave to Him. Many saints today seem to forget that a saint is a Redeemed Sinner, who continues in the Way of REPENTANCE. Is it good to repent or not? Why would anybody give a split second’s consideration. Yes – Repent, the quicker, and more complete, the repentance, the better. Salvation does depend upon our response to the grace of God, and that right response to the grace of God in Jesus Christ is REPENTANCE. When we think that repentance is for that other guy and not for me, the truth is that other guy may enter the Kingdom of Heaven. And I may be too dumbed down to even know, that the way we hold IN the grace of God, is by PERSONAL Repentance. God invites us to repent as the ONLY way to the reward of salvation. He even by an oath, says – As I live, saith the Lord GOD, I have no pleasure in the death of the wicked; but that the wicked turn (repent) from his way and live: turn ye, turn ye from your evil ways; for why will ye die, O house of Israel? TURN YE is the Command and that command is REPENT. The Word of God, over and over commands us to repent, through God’s grace. Repentance is the way we find grace with the Lord. When we learn and begin walking in repentance, we become quicker to repent and less likely to repeat the sin. We no longer plead ignorance, when we have come to know the Lord Jesus Christ. Not just know about Him but to KNOW Him. We hunger and thirst for righteousness. We delight to know and do His commandments because we KNOW Him. And hereby we do KNOW that we KNOW him, if we keep his commandments. He that saith, I know him, and keepeth not his commandments, is a liar, and the truth is not in him. No longer do we want to remain in ignorance of His will. Now that we have come to KNOW the Lord, we accept His precepts. His commandments are not grievous, not something we have to do, now they are something we get to do, something we want to do. After we have repented of (past) sins, we have purposed to stop sinning. That still remains an impossibility for born sinners, without God’s grace. Yet, Jesus says, Behold, thou art made whole: sin no more, lest a worse thing come unto thee. Neither do I condemn thee: go, and sin no more. John 5:14 and John 8:11. Sinning no more is the goal. We are Redeemed SINNERS. The goal of not sinning is hopeless, even for Redeemed sinners, without the Holy Spirit. Alleluia. We can do all things through Christ which strengtheneth us. We do need the grace and mercy of God, and according to the Word of God, we find His grace by means of repentance, and the work of the Holy Ghost. This is the process of sanctification, that we grow in this grace, and sin less, and sin less, and the goal of becoming sinless is part of the blessed hope we have IN Christ. Yet we do know that we do NOT arrive, until we get there. The way is the way of repentance, agreeing with the convicting work of the Holy Ghost, and being empowered to say no to sin. When we fall into sin, it is not that God did not provide the grace, it is because we have frustrated the grace. Yet by repentance we may find grace to effectively be born again, AGAIN. This is by REPENTANCE. No other way. Self will, and being right in our own eyes, is the block to repentance. Here are some things that Jesus said to BELIEVERS who had fallen, encouraging them to find His grace by repentance, and thereby effectively be born again, AGAIN. Some say, God knows my heart, and go right on sinning. That is a strong delusion. YES, GOD KNOWS OUR HEART, AND WE DO NOT. 1 Cor 8:2-3 And if any man THINK that he knoweth any thing, he knoweth nothing yet as he ought to know. But if any man love God, the same is known of him.1 John 2:3 And hereby we do know that we know him, IF we keep his commandments. We may fool ourselves, and we may fool the other church folk, but God is not mocked. God sees right through any hypocrisy and vanity. When we sin, we need to acknowledge the truth, as the Holy Spirit brings us the conviction, and we repent. The Holy Spirit may bring that conviction through a brother, and if we do not receive the truth, if we are unteachable, we will not find the way of repentance and restoration. The big block to repentance is self, pride, and vanity. We turn away from self and sin, in the way of repentance. It is sad when we see some of the strong delusion of these last days. Some people are even so vain as to think that the way they walk in some religious observance of torah will keep them in the way of repentance, when in fact it usually will feed their vanity, and harden them in self-righteousness. It is sad to see people having confidence placed in false doctrines, false teachers, false prophets, rationalizations, and self justifications. Deceived and deluded people can never seem to understand the lifestyle of repentance. Many have confidence in some sort of spiritual experience that somehow makes them exempt from all of the admonitions of the Truth. They find it impossible to receive the truth of never having found repentance, having fallen from the way of repentance, becoming unteachable, and waking in the path of destruction, which is right in their own eyes. At the base of this strong delusion, one generally finds, ignorance and/or disregard for the Word of God. Many have never regarded the Word of God, enough to read the KJV Holy Bible, even one time. Many have never read the Holy Bible like any other book from Gen 1:1, in the order God preserved it, straight through to Rev 22:21. Some do not even know the difference between the Holy Bible and the non holy perversions. Some may have at one time read the word of God on a disciplined basis every day. Yet some where along the way, they left off that disciplined reading of the scriptures every day. Now they do what is right in their own eyes, and will not receive the truth for correction to find repentance from you, or the Holy Ghost. This is a sad sign of the times in these last days. While the scriptures command us prove ALL things, and test spiritual experiences in particular, most hang on to some spiritual experience, and presume a confidence that they are all right. Presumptuous confidence in some spiritual experience can keep them from repentance. Confidence in spiritual experiences can keep them feeling sure of undoubted pardon of their sins. Brethren, we need each other. There is no justification for doing a Jude 19, other than gross unrepentant sin, with the 3 steps of Matt 18 carefully followed, or heresy after the second admonition. Otherwise doing the Jude 19, proves that one is out of the way of repentance, and is carnal or sensual, and does not have the Spirit. Very often today, people may FEEL very spiritual, and THINK themselves to be spiritual, but it is a deceiving demonic spirit. Jude 19, These be they who separate themselves, sensual, having not the Spirit. Sadly today we see the name of God is blasphemed among the unsaved world. Even the heathen can see the inconsistency to expect pardon of sins to be granted without repentance, which shows no fruit consistent with KNOWING the Lord Jesus Christ. It is like holding out your hand for merchandise, but not paying the money for the merchandise. Repentance is the price at which the Lord has determined to award the pardon: He proposes the redemption of release from penalty, and the obligation of the believer is the lifestyle of repentance. If the Lord is going to grant us something so precious as eternal life, He has every reason, and so should we, that the life of repentance, and the fruit of repentance be evident. BRETHREN THIS ONE THING WE DO, WE FORGET THE PAST. WHEN WE HAVE PUT PAST SINS UNDER THE BLOOD WE WILL NOT ALLOW ANY PERSON OR ANY THOUGHT TO EVER BRING OUT ANY SIN THAT HAS BEEN PUT UNDER THE BLOOD. WE KNOW IMMEDIATELY THAT IT IS ONLY THE ACCUSER FROM THE PITS OF HELL. WE CAN NOT CHANGE THE PAST. THERE IS NO RECORD IN HEAVEN OF ANY SIN PUT UNDER THE BLOOD IN GENUINE REPENTANCE. ALWAYS BE QUICK TO TELL ANY SUCH VOICES OR THOUGHTS OF THE ACCUSER OF THE BRETHREN TO STOP IMMEDIATELY. A sinner has a godly sorrow which works by repentance on sins of the present condition, NOT THE PAST. We KNOW that IF we confess our sins, He is faithful and just to forgive us our sins, and to cleanse us from all unrighteousness. Yet we are quick to admit that we are sinners. Redeemed sinners is what we are. If we say that we have not sinned, we make Him a liar, and His word is not in us. I John 1:9-10. We do have a godly sorrow working the repentance to put that sin under the blood and depend on the power of the Holy Ghost to say no to that sin in the future. There is nothing hid which shall not be revealed. There is no veil of darkness which can hide our deeds, because God is light. It is strange how common is the thought today, as if God were under some necessity of granting grace without repentance. The FAITH is the faith of repentance from dead works to serve the living God. We have no license to sin, and we have every good reason to STOP sinning. As soon as we know the Lord, we should fear Him; as soon as you have looked to Him, we should reverence Him. But what difference does knowing Him make, if there is not a change to the lifestyle of repentance? Anyone who comes to KNOW the Real Lord Jesus Christ becomes permanently astonished, as Paul was when the Lord knocked him of his high horse on the road to Damascus. Disciples are disciplined ones. When repentance is granted by the GRACE of God in Christ Jesus we cut sin no slack. Man’s fear is an honor to God. But the greater honor to God is man’s faith. Faith works by love. Love can not be love without truth. Don’t think it is strange when we meet fierce attacks of the demonic host of hell when we come to the walk of FAITH in repentance. Man has been given pardon, man is freed from the grip of the devil which is sin and vanity. So many works of death in man have been overthrown by the man coming to the Cross. So many marks of the condemnation, which the devil had to accuse the man have been totally and forever erased. The devil is grieved that the sinner who is now Christ’s servant, is destined to judge him and his angels. Alleluia Yeshua. So the demonic host watch for every opportunity to assault the believer. The devil and his demons try to tempt with the lust of the eyes. The devil will try harder to entangle the believer’s mind with worldly enticements, or else to subvert his faith by fear of earthly power. The devil is never short in stumbling-blocks or temptations to bring at the believer. IF God is so gracious to grant us repentance to be born again, AGAIN, we should hate sin more than ever. Let none be ashamed. Repeated sickness must have repeated medicine. You will show your gratitude to the Lord by not refusing what the Lord offers you. You have offended, but can still be reconciled. You have One whom you may satisfy, and His mercy endures FOREVER. Never INSULT the God who forgives sin in such a great demonstration of love and mercy as we see at the Cross by doubting the Lord’s Willingness to Pardon. Think about what the Spirit saith to the churches in Revelation. He imputes to the Ephesians “forsaken love; reproaches the Thyatirenes with “fornication,” and “eating of things sacrificed to idols; ” accuses the Sardians of “works not full; “censures the Pergamenes for teaching perverse things; upbraids the Laodiceans for trusting to their riches; and yet gives them all encouragement to repentance. The bible teaches that all men are sinners and the True God forgives sin. I hope that this teaching about the need for all of us to walk each day with a repentant heart has been a blessing to you. If you want to be one of the Overcomers during this new age that we are entering we must develop An Enduring Faith. A faith that will protect and sustain us during these times of trials and tribulation. This teaching is fundamental and separates us from the Purpose=ly Driven away from Jesus group. The Gnos-Christian, feel good, Churchianity of today’s America and around the world. Has your faith been compromised by worldly, Churchianity teachings. Our gift to you is a fifteen page “spiritual health” assessment that you can download for free. It is entitled: the “Rapture ForeWarning Advisory”. It is a spiritual inventory that has helped many. The Holy Spirit and His twelve commandments will be your guide. Check your email for the safe download link. God Bless and may He keep you Safe from the evil one. Are you blessed by The Joseph Plan? We need your help. This ministry is very expensive for us and any financial help would be a blessing indeed. Your family and home church come first, however. We have provided a safe donation portal at the top of the right side bar. Please put us in your prayers for protection and obedience. My friend, are you confident where you are going to spend eternity when this all ends? There is an end for all of us some day. For some of us- maybe today. I brought this into my pasrtor.